Waves — they’re everywhere: in us, around us, through us. Visible, invisible, audible, inaudible, our world is full of them. Whether or not we’re aware of them, waves determine our experience of sound, water, and light. 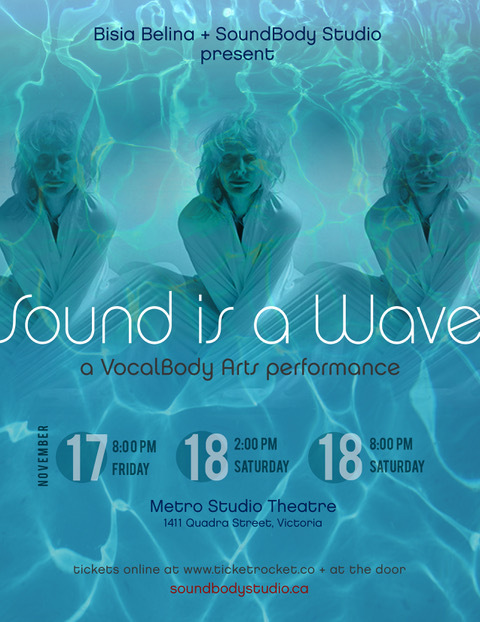 In November, artist Bisia Belina will present a voice, movement, light, and sound performance event called Sound is a Wave. The performance explores themes linking sound waves travelling through air and pressure waves moving through water. It will connect sound to light, music and movement. The flickering light of fireflies, the desire to sing that first note, the influence of water, these are some of the offerings in nine compositions presented by 10 performers. The multi-media performance is 90 minutes long, with an intermission. political and social waves to protect the integrity of life. 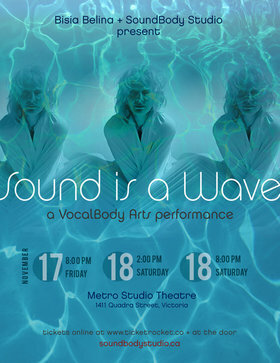 Sound is a Wave developed from a new music form creator Belina calls VocalBody Arts.Belina is a performance artist with a background in vocal jazz. Also a registered massage therapist, she conceived and developed VocalBody Arts and is the founder of SoundBody Studio, offering improvisational voice and movement solutions to life’s challenges. 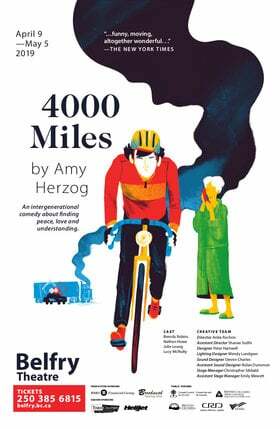 Ticket are available for purchase online and at the box office at Ticket Rocket.